The online Bitcoin exchange Kraken has just introduced a new feature called Dark Pool that allows clients to discreetly place large Bitcoin orders and execute against similar sized orders at potentially better prices. 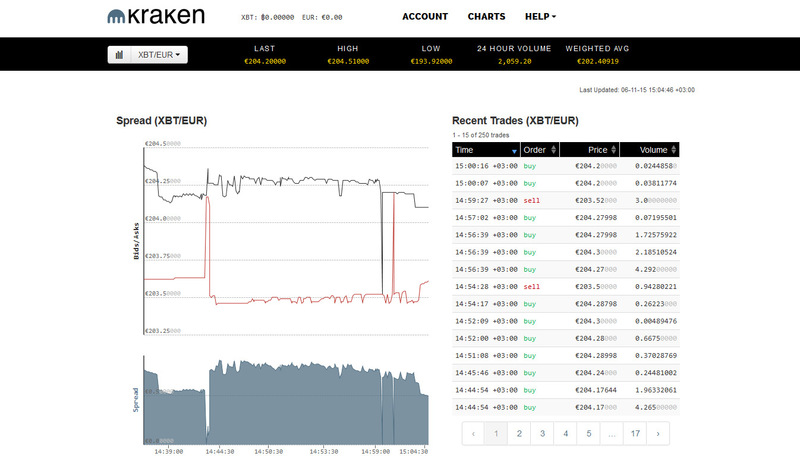 The Kraken dark pool is an order book not visible to the rest of the market. Each trader only knows their own orders. Traders can anonymously place large buy or sell orders without revealing their interest to other traders. Typically, outsized orders, when seen by other traders will cause the market to move unfavorably, making it more difficult to fill the order at the desired price. This unfavorable price movement may be avoided in a dark pool. Kraken will charge an extra 0.1% for dark orders. Dark pool trading is available to all Kraken clients with accounts verified to Tier 2 or higher. The minimum dark order size is 50 Bitcoins and only limit orders are supported. The dark pool will accept orders for trading between Bitcoins and EUR, USD, JPY or GBP. Dark pool pairings are designated by a “.d” extension (e.g. XBT/EUR.d or XBT/USD.d).